When junior member Lauren Vahldick isn’t searching for a new destination to explore, she’s busy tackling two internships, as well as being a full-time honor student at Illinois State University. I am a junior public relations major with a creative writing minor from Naperville, Ill. In my free time, I love to read and keep up with my favorite TV shows, particularly “Scandal.” My favorite things in the world are eating, shopping and traveling. I was lucky enough to combine them all when I studied abroad in Florence, Italy last year. I met the greatest people, traveled to the most beautiful places, and ate a ton of pizza. I love new experiences and have a whole list of places I am dying to travel to. What activities are you involved in outside of PRSSA? In addition to PRSSA, I am a member of the honors program and participate in the honors book club. I love reading and have always wanted to be in a book club. As lame as that sounds, I absolutely love it! I also have two on-campus internships that take up a lot of my time. One is with Summer Session promoting summer school. The other is with the Office of Admissions helping potential incoming students to learn more about ISU. Can you tell us about your internships and your role in each position? I have been the intern for Summer Session since last August, and it has been a fantastic experience. It is my first internship, and I am very lucky to have an amazing supervisor to learn from who has really helped me get a feel for real world public relations. I manage all of the Summer Session social media pages and host information tables to promote the program across campus. Our campaign this year is “Get Your Ducks in a Row,” so I have been passing out rubber ducks and having duck-related contests. We are currently preparing for the Summer Session duck race in April, so that has been a big focus this semester. At my viral marketing internship through the Office of Admissions, my job is to create content for its social media pages. We have different assignments each week, whether it is composing tweets, taking photos for Instagram, or creating blog posts. In addition, all interns each have their own category to write about, and mine is on the different departments within ISU. It is writing intensive, but it is great practice and I really do enjoy it. What are the experiences you have had with your internships, and what will you take away from them? I have learned so much through my internships. When I look back at where I was a year ago, I have come such a long way. I could not write a press release, I was terrified of cold calling and I generally had no idea what I was doing. Not only have I gained experience from my internships, but also confidence in my abilities in the public relations world. Now that I have seen how rewarding internships can be, I cannot get enough of them! How has being a public relations major helped you in your internships? My internships and classes have really complemented each other and have helped me apply what I learn in the classroom to real life. I have had to research, pitch and write press releases in my current internships, all of which I learned through communication courses. Currently, in my crisis communication class, I am working on an honors project that is a vulnerability assessment and crisis plan for Summer Session’s duck race. I think it is so cool that I am able to use what I am learning in class to create something beneficial and useful for an actual event. Just two hours after departing from Kuala Lampur on March 8, Malaysia Airlines Flight MH-370 mysteriously vanished from radar. 227 passengers and 12 crew members were on board when the plane took off at 12:55 a.m., scheduled to land in Beijing at 6:30 a.m. The flight was off to a normal start, but disappeared off the radar northwest of Kota Bharu, Malaysia in the South China Sea. On Monday, March 24, Malaysian officials released a statement that due to the satellite data, there is no longer any reasonable doubt that the plane sunk in the Indian Ocean. Even worse, family members of those on board were notified via text message the presumed fate of Flight MH-370. Many are still skeptical of the plane’s fate, with some believing the Malaysian government has been hiding its whereabouts. Regardless, current known information points to its end in the Indian Ocean, and officials are standing by that information. The Malaysian government is also defending its decision to notify members through text message because it claims it wanted the families hear the fate first, not through the news. Still, before Monday, the airline had yet to provide any concrete explanations. Search crews from 26 countries were searching for the flight, but more speculation than actual evidence surfaced. The main source of anger and protest of families has been due to the lack of information provided. Official comments made by China include requests to “step up their efforts and speed up their investigation.” Malaysian officials assure that they are doing everything possible to ensure the search is done properly and the public stays up-to-date. "I know this roller-coaster has been incredibly hard for everyone, especially for the families,"
said Malaysian defense minister Hishammuddin Hussein at a March 22 news conference. "We hope and pray this difficult search will be resolved, and bring closure to those whose relatives were on board." American Eagle: A Pawsome New Campaign, or just a Dog-gone Joke? On March 24th, American Eagle announced that it would soon be launching a new line of clothing. This line will consist of clothing for customer’s dogs and is aptly named “American Beagle.” While there is much buzz online from those who believe this may be tied to April Fools day, the attention the campaign is getting is no joke. The new line features online ads with popular Viner Brittany Furlan and her dog Meghan and is supposed to be released later this spring. Until then, American Eagle is giving customers the option to sign up for the waitlist, and receive 20% off of a purchase of three items or more. In addition, for every order placed, the company will donate one dollar to the ASPCA, up to $100,000. The campaign is also being translated to Instagram, with users Instagramming photos of their pets in clothes, with the hashtag #AEOstyle. American Eagle has already put up photos of some of the looks on their website, modeled by some adorable pups. The photos read “Coming soon” and have a link below that reads “Shop this look for women” (or men). The website also includes a video about the creation of the brand, which can be viewed here. Although many online consumers believe that this is an early April Fools Joke, it’s an interesting public relations strategy. The brand is showing consumers that they’re supporting a great cause, showing corporate social responsibility and a genuine care for animals. In addition, they are driving traffic to their online site, by offering a coupon and by allowing users to see the doggie “looks” in styles for humans. Although this is gaining lots of coverage for the brand, they could also run into problems if it turns out to be an April Fools day joke. The 20% off discount and the donations to charity are definitely real, however, the actual line of dog clothing may never become tangible. American “Beagle” may leave some users who are hopeful for a real dog clothing line disappointed if it is never released. American Eagle is definitely bringing attention to both itself and the ASPCA, and even if it is just a joke, at least it supports a great cause. Once April 1st rolls around, we’ll find out for sure one way or another and be able to see if it pans out in a positive way. Illinois State University’s PRSSA geared up and backpacked through Europe on Friday, Feb. 28 for its spring apartment social. Beverages and snacks were available for all to enjoy at the apartments. Guests were encouraged to dress up according to one of the countries represented at the social, or try to incorporate all three within one outfit. The first stop was Greece at Ali Seys’ apartment. Guests took pictures and enjoyed their stay until it was time to travel on. Once everyone headed out, guests took a bus and traveled their way to Paris. Historian Abby Brennan’s apartment was decorated in the spirit of the “City of Light.” Member Cindy Kirchner also baked and decorated Paris-themed cupcakes to serve. The apartment was filled with decorations and food that went along with the theme. To finish the night off, guests visited Ireland at director of development Sarah McSheffrey’s apartment. Guests were greeted with food and beverages while everyone danced the night away. I am a junior public relations major with a minor in writing. I am the youngest of five children, the only girl and a twin. I spent half of my childhood in Boston, and when I am not at school I live with my family in Grayslake, Ill.
What are you involved in outside of PRSSA? For the past two years I have been a peer instructor for the Success 101 program, which is a course that helps first year students transition from high school to college. I also work as an assistant for the Watterson area office and currently hold two internships. Could you tell us more about those internships? Sure! I am a marketing and communications intern for Special Olympics Illinois working under Michele Evans, who has been an incredible mentor. On a daily basis, I help create all of the publications, such as writing and editing press releases, biographies, newsletters and feature stories. I have also helped compose press kits and design advertisements for events. And what about your second internship? This internship is more project-based. Throughout the semester, I have been working with the Student Government Association through the Dean of Students Office with John Davenport, the faculty advisor. The Student Government Association is in the middle of restructuring and updating their transition materials, and that is where I come in. Thankfully, I took COM 297, research methods, last semester. It has been a great help in the research and survey portion of this project. To put it simply, my job is to design a more clear and concise transition book for incoming members. What do you enjoy most about your internships? I really appreciate how much I have been able to get hands-on experience and apply some of the concepts I have learned in my classes to the work I produce. I also could not have better people supervising me. I thoroughly enjoy working with both Michele and John because they have really taken the time to teach me and allow me to build on my skill sets while creating a safe work environment where I am able to learn without fear of making mistakes. How have your internships helped you as a public relations major? Like I mentioned before, I have really been given a great opportunity to practice what I have learned in my classes. I think the best way to improve and apply knowledge is to get out there and do it. I suppose overall, I am learning to talk the talk and walk the walk! You’ll gain experience you wouldn’t be able to learn inside a classroom. You will learn leadership skills that you can use for the rest of your life. You’ll create connections with professionals that will help you in your future endeavors. You’ll make tons of new and amazing friends who have the same interests as you. You will be a driving force behind one of the biggest and most highly-regarded Chapters in the nation. You’ll learn professionalism on a whole new level, and be better prepared to join the workforce. Any agency experience is a HUGE plus! Interested dues-paying members should send their resume and a cover letter in one .pdf to prssa@ilstu.edu by Friday, March 28. The cover letter should include your top three position choices with a brief explanation of why. Finally, we suggest including one to two letters of recommendation as well. Qualified candidates will be contacted for interviews that will take place the following week. Marvel movies aren’t going anywhere. Need proof? “Iron Man 3” was one of the highest-grossing films of 2013. 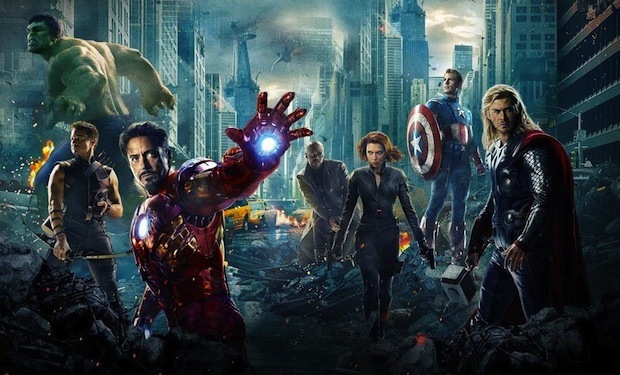 “The Avengers” was a huge success both critically and commercially. And there are plenty more to come, starting with April's "Captain America: The Winter Soldier." At this point, it’s safe to say that the characters of Marvel comics have become household names. The Avengers, however, are much more than an entertaining “super secret boy band” (in the ever-sarcastic words of Tony Stark). In fact, they can teach us a lesson or two about good public relations practices. For Tony Stark, it’s arc reactors, his robot personal assistant J.A.R.V.I.S. and the latest model of the Iron Man suit. For public relations professionals, it may be a hot new social media platform or app. This doesn’t mean you and your clients need to use every new thing that comes along, and quite frankly you shouldn’t. However, it’s still important to be aware of what’s trending in the market to stay smart and relevant. 2. 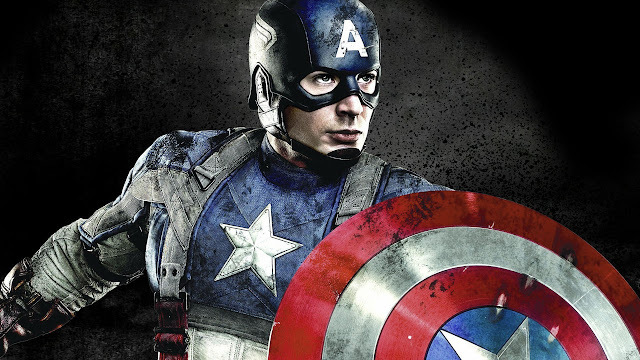 Captain America – …but sometimes the best way is the old-fashioned way. Steve Rogers (better known as Captain America) brings 1940s morals and habits into the 21st century. Though Steve’s old-fashioned values are often played for humor, his leadership is crucial to the success of the Avengers. Often, it is Steve who reminds the team of what is truly important. 3. The Hulk – Take some time to de-stress. 4. Thor – Coffee is great. 5. The Avengers – We are all different, but that’s what makes great teams work. Public relations is a field driven by teamwork. Agencies and teams work best when everyone fills a niche. For example, you may be great at media relations, while your colleague is a social media pro. Similarly, in the Avengers, Black Widow is a master spy, Hawkeye is skilled with a bow and arrow and the Hulk is excellent when it comes to smashing things. Not everyone can smash, and that’s okay. In fact, it’s probably better that way. Maggie Ziemann, ISU PRSSA’s director of relations, is responsible for overseeing the Chapter blog PRecisely PR and the PRemier Newsletter. As a junior, how have you benefitted from joining ISU PRSSA? I have been a member of Illinois State University’s PRSSA for two years now, and I have to say that joining PRSSA has been the best choice I’ve made here at ISU. I have gained so much knowledge and met so many fantastic people. ISU PRSSA also offers awesome opportunities like going on agency tours, sitting in on panel discussions, and going to National Conference, where I made tons of great connections and met other awesome PRSSA members across the country! What have you learned from your leadership role as the director of relations? I have learned all the hard work that goes into managing publications. It is definitely a team effort, from the writer to all the people who edit and publish the work. I have had the opportunity to meet so many members in our Chapter that I may not have met otherwise. As director, I have definitely learned the importance of time management. It is like in the real world, where you have to stay on a schedule and do your best to produce quality work. It has been a great experience so far helping others produce writing pieces to build their portfolios. What drew you to the public relations major? When I was a junior in high school I was an editor for my school’s newspaper. Each year we attended a conference. The conference consisted of several seminars to choose to attend for the day. For one of the time slots none of the seminars really appealed to me so my friend told me to come with her to the public relations seminar and that’s where I first learned about the field. I immediately fell in love. I remember as the speaker was talking I just kept telling myself that one day I was going to work in public relations. I pursued that career path and I’m here today, still pursuing it and loving everything about it! We love your blog, imPRess PR - what advice do you have for someone who wants to start their own? Thank you! My advice is to not be afraid and to go for it! I have had so many people tell me that they want to start a blog but don’t know what they would write about. I have revamped my blog several times to fit the perfect niche I want it to have. My advice is to just start writing and see where it takes you. I used to blog about my personal accomplishments and then realized I wanted to go into a different direction. Be persistent and eventually it will come to you. Then, when you feel confident enough, tell others about your blog and you’ll begin to gain readership. Twitter is a great way to promote your posts and the public relations community on Twitter is so encouraging and welcoming. It’s a great support system! How do you manage your blog, leadership role, classes and still have personal free time? I really take advantage of my planner and staying as organized as I can. Every Sunday I sit down and plan out my entire week ahead. To-do lists are my best friend. I make several lists for all the assignments that are due that week, then one for meetings, and then one for all the other things I need to do or go to. It really helps keep me on track. I have also discovered that the Reminders App on my iPhone is a lifesaver and anytime an event comes up or I need to remember to do something on a smaller scale of importance I plug it into my Reminders and set an alarm to remind me. If you could do public relations for any brand, what company would it be and why? I am really interested in agency public relations, but if I could work for a specific brand it would be for Starbucks. Not just because I practically live there, but I love the company as a whole; its mission, customer service, and the brand loyalty it has built. I love following all the happenings of the company. They write impressive press releases, have a great social media reputation and I love all their campaigns. And it’s an added bonus that they have great products! If you were given one ultimate all-expense paid trip to anywhere in the world, where would you go? Italy. I have always wanted to go there. To me, it’s the full package. You can enjoy beautiful weather with a gorgeous view while exploring iconic tourism spots. I have heard nothing but great things about all the food and drinks! We all have role models. Who is yours? My role model is my mom. She has always been there, encouraging me every step of the way. She has worked so hard to put me through college, and I can just see in her face how proud she is whenever I accomplish something. It is a really rewarding feeling. She is such a hard worker, and I hope to have her support the rest of my life. If you could only chose one for the rest of your life, which would get your pick: Social media or Starbucks? You have a free Saturday to binge watch any TV show of your choice. What would you choose? “Desperate Housewives.” I watched all 10 seasons last semester and I got so emotionally invested. It is definitely my favorite TV series and I would not mind watching it again! Introducing the School of Communication Career Triathlon! Beginning March 17, The Career Center and the School of Communication will kick off their annual Career Triathlon competition. To find out more about this exciting opportunity and how to get involved, we talked to the intern helping to plan it, Chelsea Gallagher. Hi Chelsea! To start with, can you just explain what the Career Triathlon is and how students can compete? Sure! The Career Triathlon is an event sponsored by ISU's Career Center and offered to only School of Communication (SOC) students. It's a three week long competition where students compete to see who can submit the best overall job application. Students are asked to submit a particular component each week. Judges will pick the best applicants evaluating students on three parts including: a job application, an online interview, and a LinkedIn profile. Four finalists will be chosen from each SOC sequence and one grand prize winner will be announced during COM Week. Great, thanks! So is the Career Triathlon open to any School of Communication student? Yes! Every School of Communication student is able to participate, and will be competing against students in their sequence (Public relations, journalism, communication studies and mass media) to become a finalist for their declared major. What are some of the prizes students can win and benefits of competing in the Career Triathlon? One grand prize winner will be given a tablet, and the four finalists will be invited to attend the COM Week Awards and Scholarship luncheon, where they will have the opportunity to network with industry professionals. This is the first time the Career Institute has done an event like this. Why did they decide to partner with the School of Communication? The School of Communication is filled with passionate students who are eager to gain experience and improve their professionals skills. The Career Center thought this would be a great opportunity to help SOC students improve themselves professionally, as well as educate them on some of the beneficial services they offer in the process. Can you tell us a little bit about the planning process with the Career Center? The planning process was a lot of collaboration between the Career Center's COM advisor, Renee Carrigan, and School of Communication advisors and interns. We tried to make the competition as convenient as possible for busy students, while still allowing them to reap the benefits this program has to offer. Finally, as a fellow student and intern, what do you think is the number one reason students should compete in the Career Triathlon this year? The Career Triathlon is just a great way to gain valuable experience in applying for jobs. Since a lot of us are nearing graduation, it's a great opportunity for seniors, juniors, and even underclassmen to get some practical experience while they begin their job search. Not to mention, you have the chance to win a tablet in the process. For more information about the Career Triathlon, click here.